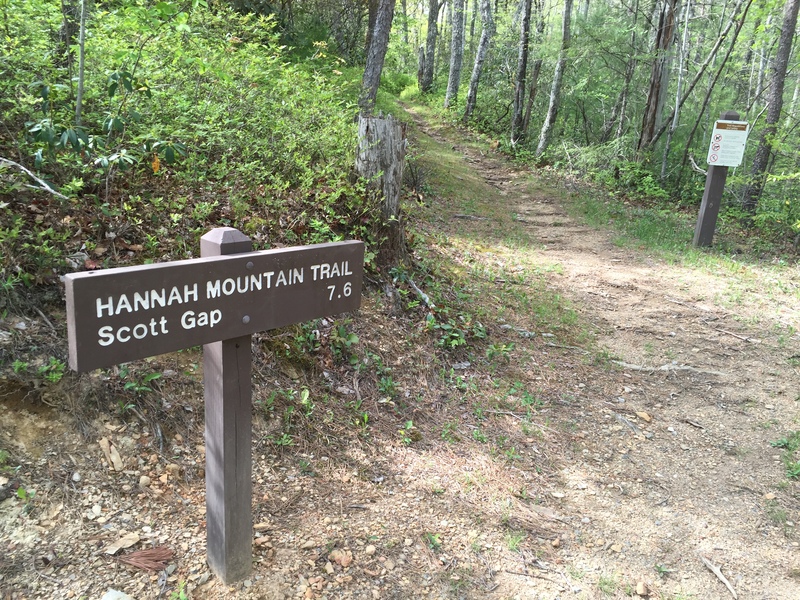 Hannah Mountain Trail is one that does not fit easily into a day hike loop. Its trailheads are remote with one crossing Abrams Creek at the end of Abrams Falls Trail, and the other is in Sams Gap on the one way Parson Branch Road leading out of Cades Cove. Plan to carry plenty of water as there is little of it once you leave the trailhead at Abrams Creek. 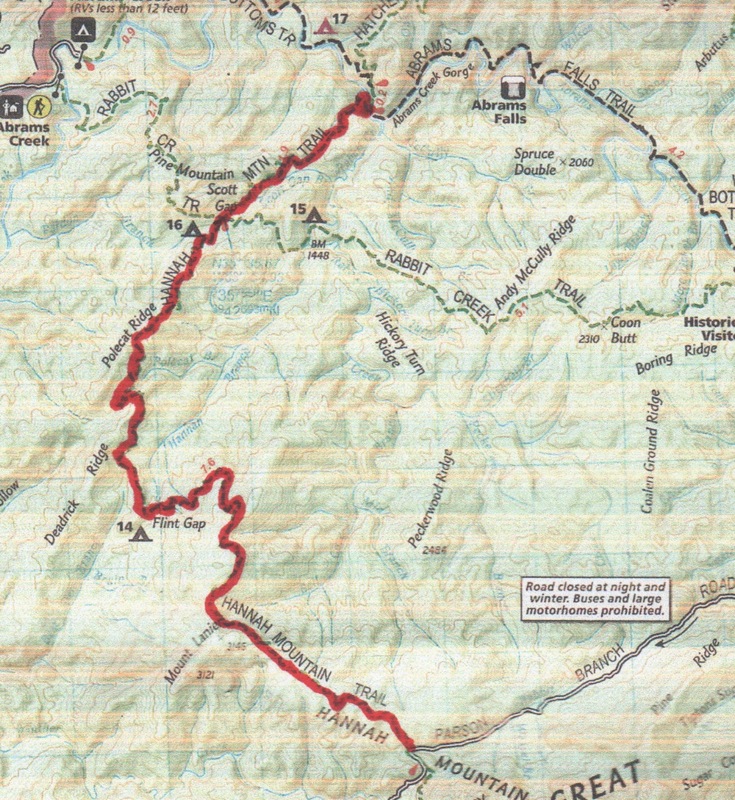 There are two campsites along this path, CS#16 at Scott Gap and CS #14 at Flint Gap. 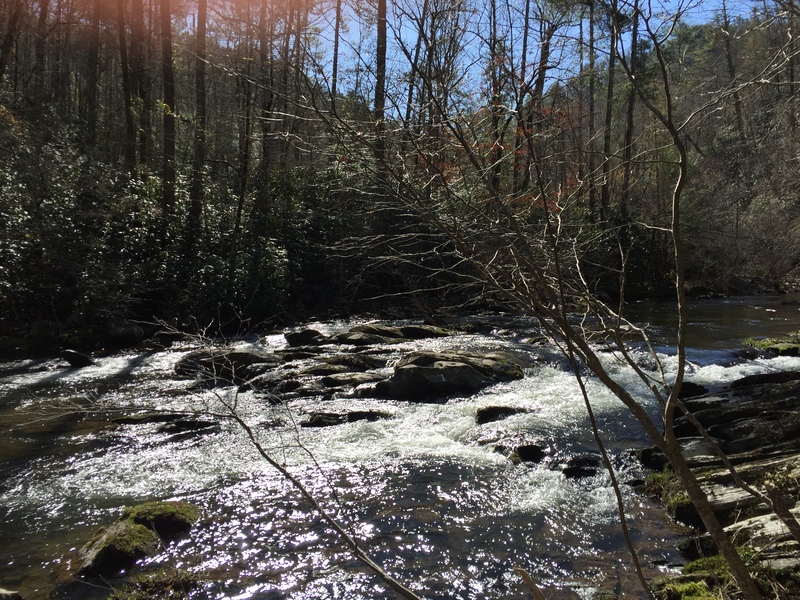 The trail opens in exciting fashion with a ford of Abrams Creek. In the early spring, this crossing can be deep and treacherous due to cold high water. Even in low water, it is swift and waste deep but with reasonable care, it can be forded safely. There is a short, steep climb away from the creek that quickly settles into a steady climb for the first couple miles. 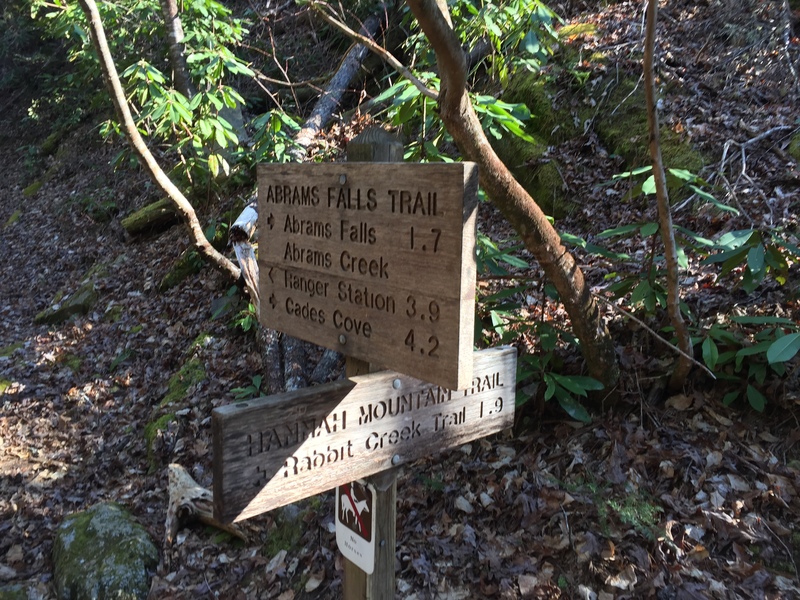 At 1.7 miles the trail crosses Scott Gap Branch before arriving in Scott Gap and the intersection with Rabbit Creek Trail. There is a side trail from the intersection leading to Campsite #16, which is the former site of a shelter. All that remains of the shelter is its concrete foundations but the site is a reasonable choice for camping. 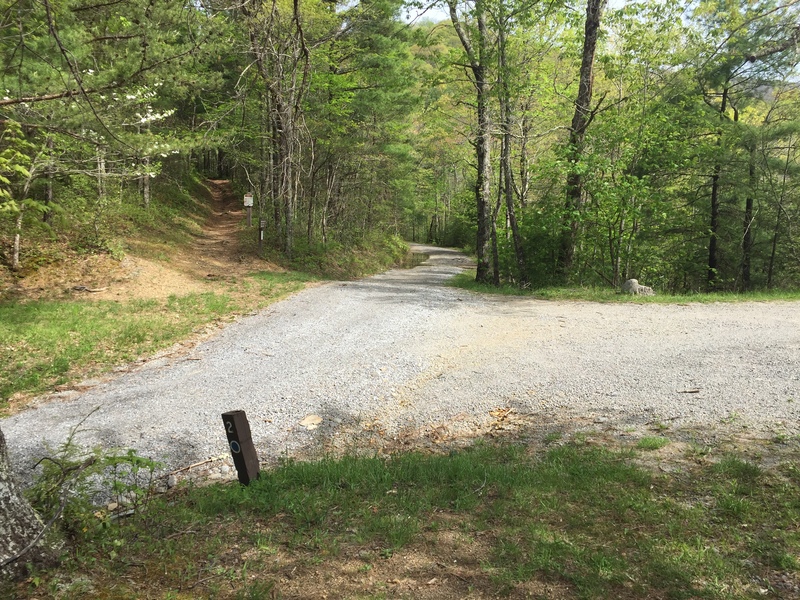 From there, the trail ascends steadily for a mile and a quarter, cresting at Polecat Ridge at 3.2 miles, then rolling along until you reach the small Flint Gap and Campsite #14 at 5.1 miles. CS#14 is rather disappointing as a campsite as there are few level places for tents and the site is quite literally on the trail. There is a small stream crossing on Hannah Branch at 5.4 miles, which is the likely water source for CS #14. The trail climbs again for a mile or so until it levels off around 6.4 miles. All along this section the flora alternates between mixed hardwoods, some pines and then spots of laurel and rhododendron. 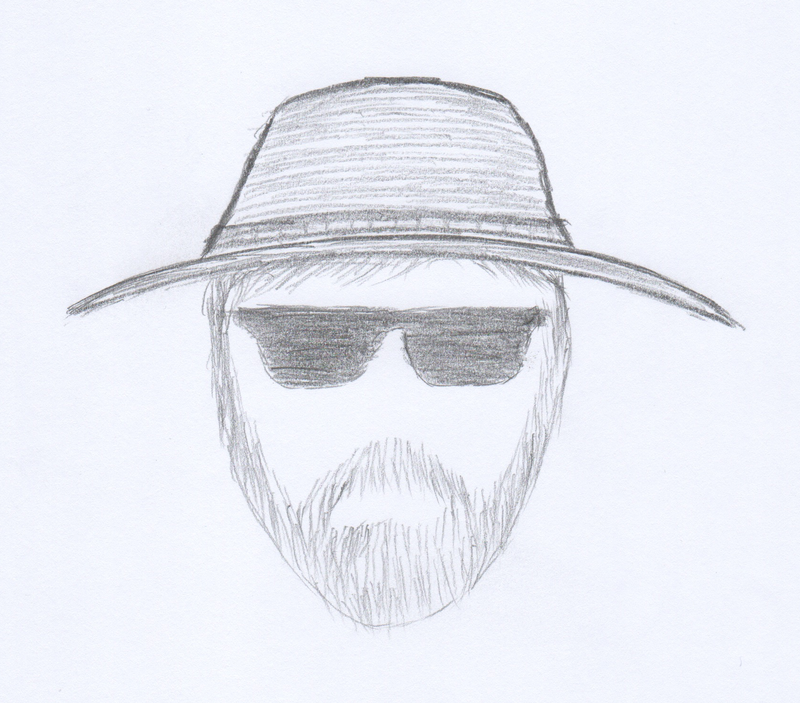 The trail is fairly level as to the end as it rolls along the ridge of Hannah Mountain. The trial ends at Sams Gap where Parson Branch Road crosses on its way to US 129. 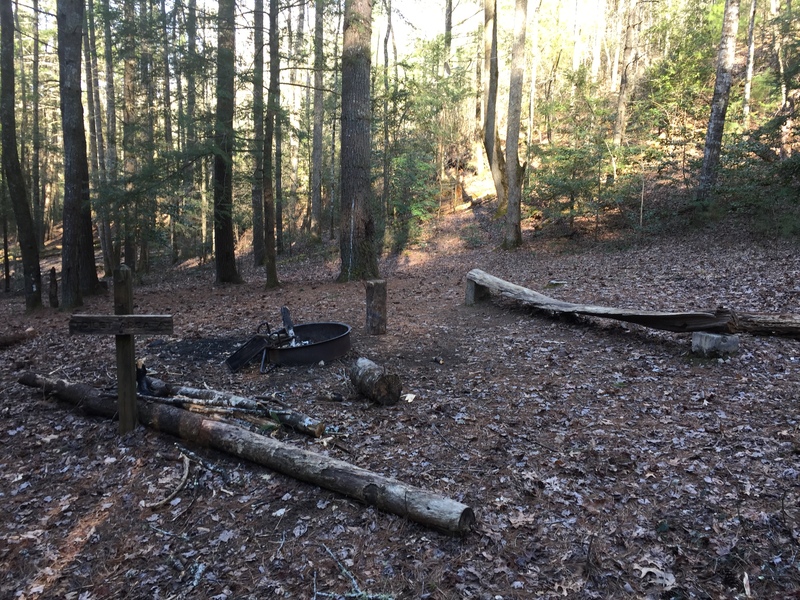 This entry was posted in Trail Log and tagged Campsite #14, Hannah Mountain Trail on May 28, 2016 by blogginggazelle.